FINANCE Minister Paschal Donohoe has played down the chances of a General Election this year, saying he’s already begun work on Budget 2020. As Brexit crawls towards the point of clarity, Mr Donohoe and Agriculture Minister Michael Creed indicated that even if it is settled they do not want an election. 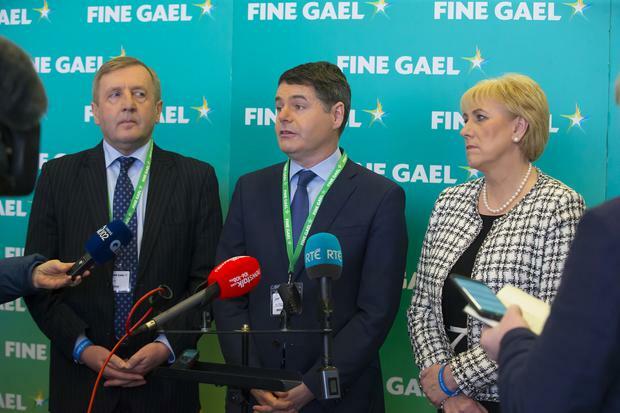 Fianna Fáil’s extended the confidence and supply arraignment with Fine Gael on the basis that the country needs stability during the political crisis in the UK. Senior figures in both parties have speculated that a lengthy delay to Brexit or the passing of the Withdrawal Agreement in the House of Commons could clear the way for a general election. However, asked about the prospect today, Mr Donohoe said: “The good news is I’m already working on Budget 2020. I have to bring a stability programme update to Government in the next few weeks which will be laying out how we think the economy is going to perform next year. He also described British Prime Minister Theresa May’s move to allow MPs take part on indicative votes to decide the way forward for Brexit as “significant”. But Mr Donohoe the Irish government still want the Withdrawal Agreement to be the main focus. “The last number of days have shown the kind of unpredictable events we can have in British politics. I think there is every possibility across the coming days and weeks that the Withdrawal Agreement will be ratified,” he said. Mr Creed told reporters at Fine Gael’s National Conference in Wexford that ministers need to focus on the “big tickets items” in their departments rather that worry about an election. “I don’t wake up every morning wondering when there’s going to be an election,” he said. “Even if it [Brexit] was to become a more settled issue in the coming weeks, the consequences of it are so significant that dealing with the Withdrawal treaty or it’s rejection is one part. “My own view on that would be that then we are beginning to get into the real issues of concern to us, of how we construct the future trading relationship. And that’s when the real work begins in my view around Brexit,” Mr Creed said.